How many “turn on notification” posts did you see on Instagram the past few days? I must have seen at least a thousand. During the height of the controversy and confusion over the Instagram algorithm changes I decided to follow the advice of one of my fellow Instagramers and opt out of the update. I’m starting to hear of the confusion and upset on the new changes mostly having to do with user features we didn’t think would happen with the update. I'm an Instagram fanatic and was initially very concerned about the changes. I spoke about how I use Instagram to network in my How to Network Like a Rockstar post. I use IG to help make new friends and to stay connected to old ones. Days before I opted out of the Instagram updates I started to think of the daunting task of turning on the notifications of all Instagram users that I follow. I took a minute to reflect on the Instagram feeds that inspire me the most. I LOVE all the Instagram accounts I follow. But below is a rundown of some of the Instagram accounts that I couldn’t live without. I’ll share more in a later post. Stay tuned. You’ll adore this super fun and colorful IG feed! Coast to Coast Vintage Mobile truck travels from the east to west coast of the U.S. setting up at vintage and flea markets, music festivals and pop ups. 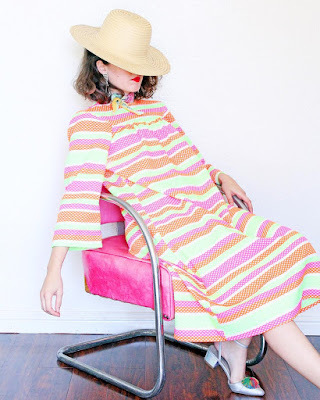 I’m obsessed with the bright and must have vintage pieces and cheerful travel pics featured on this feed. I check this feed several times daily for a dose of happy and to put an instant smile on my face. I also absolutely adore the well curated vintage pieces from Coast to Coast. Check out their website www.coasttocoastvintage.com and their Etsy store. Who doesn’t love food and fashion? Your senses will be overloaded with this cute and cheery page documenting the New York City adventures of Yukina who is from Japan. I recently discovered this IG feed and check it daily for ideas for new food spots to check out, cool pics of New York City and her colorful and fun fashion style. Follow her on IG for a daily dose of the best of what NYC has to offer, new delicious food discoveries and an instant pick me up as her images are super fun and colorful. 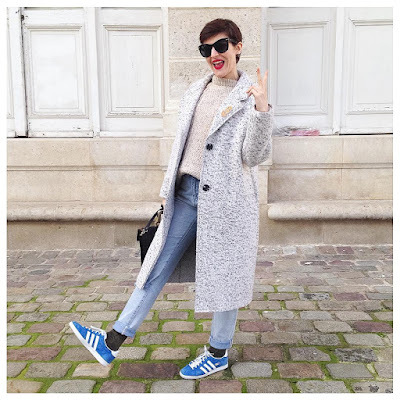 Fashion and color lovers will rejoice over this UK fashion bloggers super colorful and upbeat page. I recently came across this IG feed and I’m over the moon for this page. I check this feed several times a day and drool over the colorful pics and outstanding fashion style. I can't get enough of her perfectly styled looks and pics that are a color lovers dream. Check out and subscribe to her bog at www.justauniform.com to get your dose of fashion goodness! Vintage lovers will go crazy over this well curated IG feed for this awesome Nashville based Etsy store. Scroll through the pics for super stylish vintage clothes and accessories as well as a cool fashion inspiration. 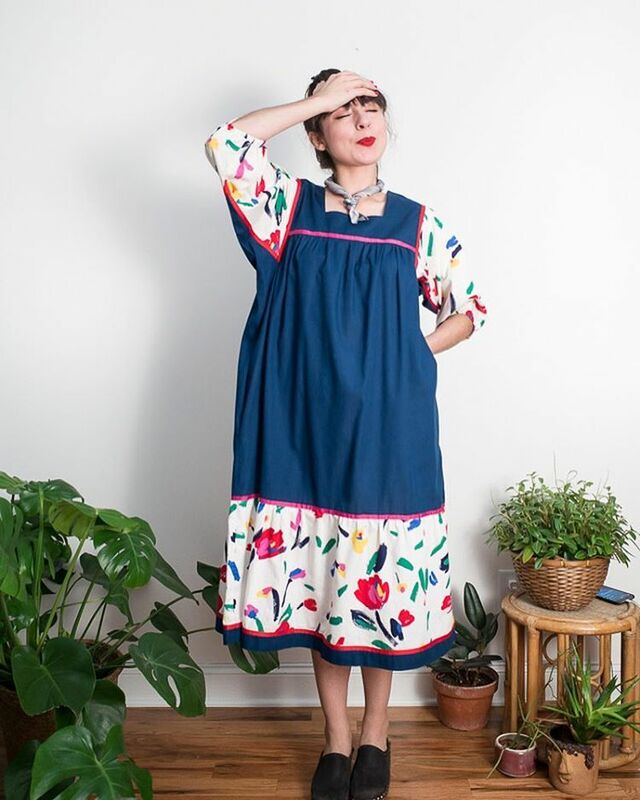 I luckily came across this IG account and check it often for new vintage finds. You’ll thoroughly enjoy this extremely and perfectly curated page for your fashion and shopping fixes. Make sure you check out her Etsy shop for pieces that you will surely love! Fashionistas everywhere will fall in LOVE with this thoughtfully curated vintage Miami based Etsy shop’s feed. I have a love affair with this Instagram feed and am officially obsessed. I can’t get enough of the this welcoming page with colorful and boho vintage pieces that I always add to my wish list. Check out and shop away at their Etsy shop! What are your favorite Instagram accounts? ?